The landmarks of Prague 3 – the Žižkov Tower and the equestrian statue of Jan Žižka – are both part of the Prague skyline. They are located in Žižkov since Prague 3 mainly means the Žižkov district (plus small parts of Vinohrady, Strašnice and Vysočany). Žižkov in turn means a hill (and not only one) – so, looking at Prague, you cannot really miss it. Žižkov is not only prominent in the urban landscape, it’s also one of the most vibrant areas of Prague that has always remained true to itself. At the beginning of the 20th century, the inhabitants referred to their district as „Republika Žižkov“, it had its own internal rules which were recognized by the whole Prague. Žižkov´s unique atmosphere will warm you at the very first moment, its streets pulsing with energy all day and sometimes even all night long. 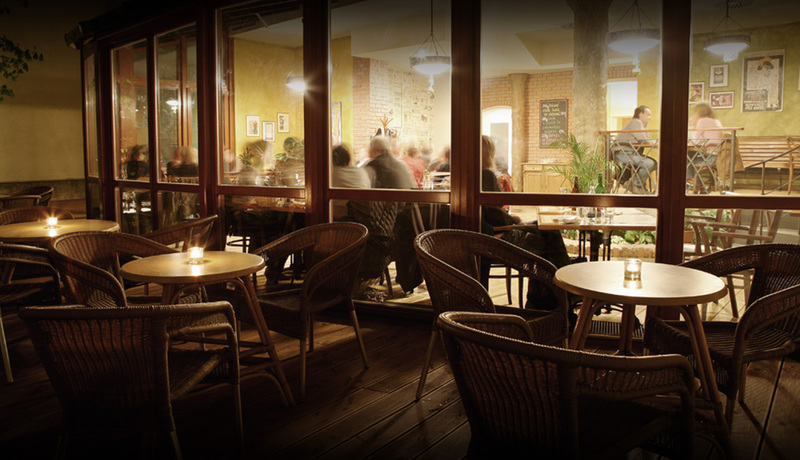 Pubs, bars, clubs, cafés, bistros, restaurants, late-hour stores can be found at every corner, as well as a variety of other services such as repair shops, dry-cleaner´s, laundromats, photocopying services etc. What is missing here, however, are office buildings. Although trees are almost absent in the streets themselves, you can fully enjoy the district´s green areas in the nearby parks. They are all situated on the hills and offer great views of the city. If you climb up, you will find flat areas on top suitable for an hour of morning jogging, walking your dog or having a picnic with your friends. The choice of the park is really up to you: there is the large Vítkov park, popular Parukářka or Židovské pece. Easy access to services and entertainments is perhaps the main reason why Žižkov district has been drawing many foreigners who chose Prague as their permanent residence. There’s also a lot of artists and students, which enhances the district´s multicultural character even more. Another reason for staying here might be affordable prizes – not only in restaurants but also concerning housing and rents. 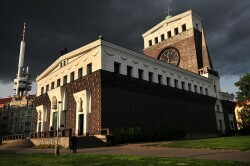 It is not easy to choose Žižkov´s best places to see and visit. Not that there are none – on the contrary, there are many. We still recommend the following top six: Café Pavlač, Lavička and Secret of Raw restaurants, Bukowski and Malkovich bars and Palác Akropolis. You can´t also miss the excellent farmers´ markets on the Jiřího z Poděbrad Square (close to Vinohrady district mentioned in the intro). Market days take place Wednesdays through Saturdays offering fresh vegetables, fruits, pastries, cheese as well as flowers. 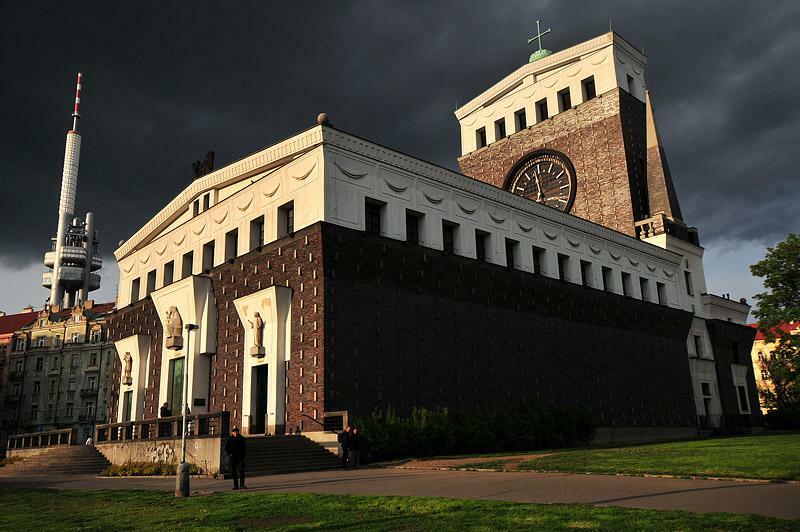 And while you are there, check out the Church of the Holy Heart of Jesus, a modern architectonic piece designed by the famous architect Josip Plecnik and built between 1928 and 1932. Its magnificent frame is nothing compared to the strength of its interior.